Carrie Underwood took to social media earlier this week to reveal the track listing to her fifth studio album, Storyteller, set for release on October 23. Storyteller, was produced by Jay Joyce, Mark Bright, and Zach Crowell with six of its 13 songs co-written by Carrie, including the record-breaking first single, "Smoke Break." Underwood showed off each individual song title and position by using an old fashioned storybook. Fans who wanted to catch a glimpse of a song title would have to pause the Instagram videos at a very specific time to catch the image. "Like I'll Never Love You Again"
You can learn a lot about the album just by the names of the songs…"Chaser," could quite possibly be a drinking song. "Choctaw Country Affair" sounds like an old-school rural love ballad. And "What I Never Knew I Always Wanted" has a familiar "Don't Forget to Remember Me" word play to it, and could it possibly be the one song on the album that was inspired by Underwood's baby boy, Isaiah? Storyteller is available for pre-order at Amazon.com. 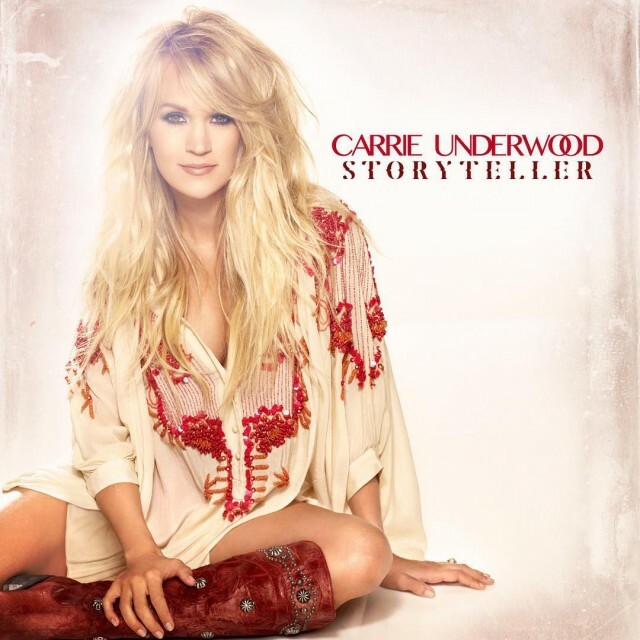 Underwood is on radio now with her record-breaking single "Smoke Break," the first single released from her fifth studio album, Storyteller, which is set to be released on Oct. 23rd. It’s Underwood’s first new album in three years. "Smoke Break," is available for sale now at: http://smarturl.it/cusmokebreak. In September of 2015, she begins her third season as the voice of primetime television's #1 program, Sunday Night Football, and on November 4th, she'll return for an 8th consecutive year as co-host of the CMA Awards. You are subscribed to email updates from Country Music Pride.